The appellation "Classical music" is a broad, somewhat imprecise term in referring to music produced in, or rooted in the traditions of, Western art, ecclesiastical and concert music, encompassing a broad period from roughly 1000 to the present day. 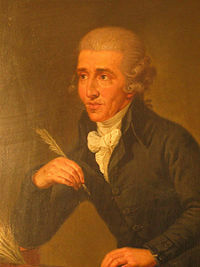 The central norms of this tradition developed throughout this period but reached their heights of complexity and development in the period between 1550 and 1900 due to the dissemination of music theories from theorists such as Anton Reicha as well as the musical compositions from composers such as Haydn, Mozart, and Beethoven in what is known as the common practice period. Beginning in the Baroque era (1600-1750) expressing moods and emotions (affectations) via tonal logic and organizational structure became important concerns for composers. In addition a belief in the moral and ethical aspects of music became a concept that many composers adhered to. 6 Classical music as "music of the classical era"
With the decline of Rome and the ascendancy of Christianity in Europe during the third and fourth centuries, the seeds that would blossom into the great art of the Western world were planted deeply into the fertile soil of religious faith and practice. Arnold Toynbee's assessment that the Christian church was "the chrysalis out of which our Western society emerged," attests to the role that Christian thought played in the development of Western culture, musical theory, aesthetics, and axiology. The early Christian church was a small, thus vulnerable group with the "mission" of converting Europe and thus endeavored to resist any association and influence of the surrounding pagan cultures. Early Christians felt this to be absolutely crucial to their cause and deemed it necessary to subordinate all earthy things, including music, to the ultimate goal of protecting the eternal condition of one’s soul. The Greek philosophy (which came to the early Christian Church via Rome that music was a medium that had a cosmic connection to the forces of nature and thus possessed the power to affect human thought and conduct, was assimilated into early church culture and reiterated in the writings of several Christian philosophers, most notably Severinus Boethius (ca. A.D. 480-524) and St. Augustine (354-430 C.E.). Boethius' treatise, De Institutione musica, stood as an authoritative source of understanding for musicians of medieval times through the Renaissance with regard to the harmonization the physical world (musica mundana), the mind and body (musica humana) and tones/music musica instrumentalis). The evolution of music and its integration into liturgical practice throughout the Middle Ages gave rise to new attitudes about music and its purpose and function; most notably the idea that music was to be the "servant" of religion. For the Church elders of the Middle Ages, music was deemed good only when it "opens the mind to Christian teachings and disposes the soul to holy thoughts." The church in the Middle Ages was highly concerned with the potentially “corrupting” elements of music and as a result certain factions within Church hierarchy felt that art in general, and music in particular, was inimical to religion. Yet the aesthetic beauty and emotional power of music could not be denied. The medieval Christian concept that spiritual fulfillment and redemption was somehow hindered or obstructed by pleasurable things like music is one that troubled even the most enlightened practitioners of the faith. Consider Saint Augustine's observations on this dilemma: "When I call to mind the tears I shed at the songs of my church … I then acknowledge the great utility of this custom. Thus vacillate I between dangerous pleasure and tried soundness; being inclined rather to approve of the use of singing in the church, that so by delights the ear the weaker minds may be stimulated to a devotional frame. Yet when it happens to me to be more moved by the singing than by what is sung, I confess myself to have sinned criminally, and then would rather not have heard the singing." As musicologist Daniel J. Grout observed, there is music in every Age that is not suitable for religious or devotional purposes and thus one should not be too quick to condemn the Church for its seemingly narrow and "timorous distrust of the sensual and emotional qualities of music." The Christian church, like the ancient cultures of Ages past, was merely making a distinction between sacred and secular art which it thought necessary to the process of inculcating its early converts with an ascetic principle that could endure and survive any corrupting influences. There existed a prevailing thought that instrumental music could not elicit the spirit of divinity as well as vocal music, therefore instrumental music was, for the most part, excluded in liturgical services in the early church. This preference for vocal music was a significant factor as to why Gregorian Chant and plainsong became the predominant mediums for liturgical music for hundreds of years. Like the philosophers in ancient China and Greece, many church composers believed that the act of creating music had innate divinity and that the assembling (ordering) of pitches, rhythms and structures could manifest “heavenly” properties. Baroque composers and philosophers became increasing interested in the idea that music, mathematics and science possessed cosmic relationships. Pythagoras' discovery of the overtone series, with its mathematical explanation of sound production, was perhaps the most influential discovery in defining the theoretical aspects of Western music. These cosmic principles were thought to have emanated from God and as such had deep religious and spiritual connotations. For Johann Sebastian Bach, the greatest church composer, "The sole and end aim of figured-bass should be nothing else than God's glory and the recreation of the mind. Where this object is not kept in view, there can be no true music but only infernal scraping and bawling." The Enlightenment, with its predilection for "natural law" and "practical morality" over supernatural religion and metaphysics, constituted a major shift in attitudes about music and the arts. The spirit of the Enlightenment was clearly secular with an eye for the egalitarian in all things. Public concerts, as opposed to private concert events (often sponsored by wealthy benefactors and patrons) were becoming more prevalent and as a result, music itself began to change. Music was to aspire to simplicity and avoid the complexity of contrapuntal devises and the excessive elaboration and ornamentation that was characteristic of the music in the Baroque period. The social upheaval of the French Revolution in 1789 and the attitudes it engendered, specifically the primacy of individual rights, signified another important cultural change for music and musicians. 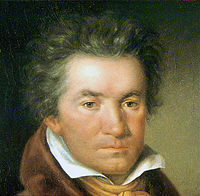 Ludwig van Beethoven, who was literally a child of the French Revolution, asserted that as an artist he possessed the same basic rights of kings, the clergy and nobles. This attitude, coupled with anti-social behavior and self-absorbed turbidity, would become a defining trait among many artists of the Romantic era. This attitude also requires the listener of music to be a more significant partner in the appreciation of music. Author Charles Williams states: "The word Romanticism...defines an attitude, a manner of receiving experience." Nietzsche echoed this stating: "In order for an event to have greatness two things must come together: The immense understanding of those who cause it to happen, and the immense understanding of those who experience it." As Grout suggests: "In a very general sense, all art may be said to be Romantic; for, though it may take its materials from everyday life, it transforms them and thus creates a new world which is necessarily, to a greater or lesser degree, remote from the every day world." Beethoven personified the attitude that music was "a direct outpouring" of a composer's personality, his individual triumphs and tragedies. This became a prevalent Romantic notion among many artists of the late nineteenth century. The music of Gustav Mahler, perhaps the “most confessional” of composers, is highly representative of this particular Romantic ideal. The irony here is that as the egalitarian attitudes of Romanticism (its Zeitgeist) would give rise to the aforementioned anti-social attitudes among artists; a condition diametrically opposed to the philosophical tenets of antiquity. That said, certain aspects of Romanticism are akin to the ancient concept of "microcosmic relatedness," for Romantic art as Grout suggests, "aspires to immediate times or occasions, to seize eternity, to reach back into the past or forward into the future, to range over the expanse of the world and outward through the cosmos." Romanticism celebrates metaphor, ambiguity, suggestion, allusion and symbol and as a result, instrumental music, which was shunned by the early Church, is now favored over music with words due to its "incomparable power of suggestion" and mystery. It could be said that he invisible, vibratory world of instrumental music corresponds to the unseen, vibratory incorporeal world. Schopenhauer believed that music was "the very image and incarnation of the innermost reality of the world, the immediate expression of the universal feelings and impulsions of life in concrete, definite form." Goethe's observation that "…the head is only able to grasp a work of art in the company of the heart," could stand as defining axiom for the cultural attitudes of the nineteenth century. Musicologist Richard Norton notes that a prevalent theory has emerged among modern musicologists and theorists, which suggests that the "era of classic tonality" in the West was something "that had to happen." He points out that this concept, with its very definite ideological underpinnings, is a form of historical determinism and as such ignores the fact "that tonality appeared as and how it did through economic, social, political, philosophical, cognitive and aesthetic, as well as 'natural' means." It was neither accidentalism nor "natural law" that spawned tonality and its wider usage, but rather the synthesis of law (adherence to acoustic principles) and reason (the desire to find greater means of expression). It is evident that in the twentieth century the condition of art in Western culture has undergone a transformation that few could have envisaged one hundred years ago. The reasons for this transformation are many and varied including the influence of globalization, technology, media, multiculturalism, commercialism, the increased emphasis on visual media and various philosophical, ideological and sociological developments. 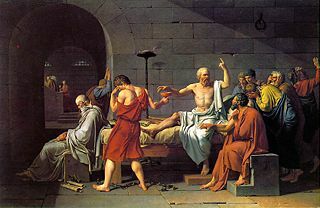 Perhaps the most significant philosophical change regarding attitudes about art, is that religion, for so long the "moral compass" of society, is no longer the potent force that it once was in guiding society in the matters of morality and ethics. This has resulted in what Allan Bloom referred to as a condition of "moral and cultural relativism." One result of an increasingly secular society has been that artists are seemingly less aware or unconcerned with the moral and ethical power of art and in many cases have slipped into a relativist mindset regarding their creative endeavors. The formulaic and serial modes of composing introduced by Arnold Schoenberg and the Second Viennese School introduced a decidedly intellectual rationale to composing in which science and mathematics were deemed progressive and preferable to the anachronistic methods of tonality and the philosophical attitudes it engendered. Coupled with the deconstructionist attitudes that came to dominate the philosophical landscape of the West, art music became increasingly marginalized as the perceptually opaque nature of the music found no large audiences and relatively few advocates. By the late 1970s, Pierre Boulez, perhaps the leading exponent of Post World War II modernism, declared that any attempt to make the legacies of past seem important was nothing more than a ruse. A hostility to all past traditions and rationale had become the raison d'etre of modern composition in the "Ivory Tower." Schoenberg's prediction in 1948 that the public's resistance to atonality and "the emancipation of dissonance" would eventually diminish with repeated exposure proved false. Richard Turuskin's observation that the lack of an underlying "deep structure" born out of the subconscious (as with natural languages) led to a condition where the disconnect between the "content of the utterance" and the "manner of its delivery" becomes a constant irritant to those seeking to find meaning and pleasure in their encounter with music. This view is reinforced by Leonard Bernstein in his music/language analogy in the Harvard Lectures. Alluding to Schoenberg's serial methods, Bernstein states: "The trouble is that the new musical 'rules' of Schoenberg are not apparently based on innate awareness, on the intuition of tonal relationships. They are like rules of an artificial language, and therefore must be learned. This would seem to lead to what used to be called 'form without content,' or form at the expense of content—structuralism for its own sake." For some musicians the "new ojectivity" that spawned atonal and hyper-intellectualized methods of composing with their emotionally arid characteristics, was antithetical to the philosophical legacy of their art form. Consider the views of early twentieth-century German composer, Paul Hindemith, regarding the state of modern music in the first half of the century: There are composers "… who flatly deny the ethic power of music, nor do they admit any moral obligation on the part of those writing. For them, music is essentially a play with tones, and although they spend a considerable amount of intelligence and craftsmanship to make it look important, their composition can be of no greater value, as a sociological factor, than bowling or skating." Hindemith's concern was echoed by other prominent composers who shared his lack of enthusiasm for the dissonant utterances of atonal music. Musicologist Leonard B. Meyer presciently predicted in 1967 that by the turn of the century there would be a plethora of musical styles co-existing with no "triumphant" style holding sway. Globalization, technology and increased cultural interfacing have proved Meyer's prediction of cultural cross-pollination and the resulting musical diversity correct. By the early 1980s composers were turning to more "accessible" and ingratiating styles. Minimalism (Riley, Reich. Glass) Neo-Romanticism (Liebermann, Hoiby, Rochberg) and Neo-mysticism (Gorecki, Paert, Tavener) had supplanted the crabbed mannerisms of serialism and were finding favor with audiences. This diversity is a result of a cultural cross-pollination. Other prominent composers, such as Tan Dun, Roberto Sierra and Osvaldo Golijov, have incorporated their native folkloric elements into their music thereby contributing to the great pluralism that now exists in art music. The European tradition of music which is associated with high culture, as distinct from popular or folk forms (including works in this tradition in non-European countries). That tradition as well as similar non-European traditions. A particular stage in the development of the European art music tradition, centered in the late eighteenth century. This music evokes classical traditions, focuses on formal styles, invites technical and detailed deconstruction and criticism, and demands focused attention from the listener. It is written down using a formal notation and a work of classical music is usually defined by the notated version, rather than a particular performance of it. This music is associated with, and often compared to, fine art and high culture, sometimes leading to accusations of haughtiness and exclusivity being leveled at its enthusiasts. Nevertheless, many "classical" pieces were the popular music of their time, and have remained popular to this day. The public taste for and appreciation of formal music of this type is often described as having waned through the later part of the twentieth century and into the present millennium, particularly in the USA and UK, although it continues to thrive elsewhere in the world. Certainly, this period has seen classical music falling well behind the immense commercial success of popular music. The term classical music did not appear until the early nineteenth century, in an attempt to "canonize" the period from Bach to Beethoven as an era in music parallel to the golden age of sculpture, architecture and art of classical antiquity (from which no music has directly survived). The earliest reference to "classical music" recorded by the Oxford English Dictionary is from about 1836. Since that time the term has come in common parlance to mean the opposite of popular music. Ancient music - the music generally before the year 476, the approximate time of the fall of the Roman Empire. Most of the extant music from this period is from ancient Greece. Medieval, generally before 1450. Monophonic chant, also called plainsong or Gregorian Chant, was the dominant form until about 1100. Polyphonic (multi-voiced) music developed from monophonic chant throughout the late Middle Ages and into the Renaissance. Renaissance, about 1450 – 1600, characterized by greater use of instrumentation, multiple melodic lines and by the use of the first bass instruments. Baroque, about 1600 – 1750, characterized by the use of complex tonal, rather than modal, counterpoint, and growing popularity of keyboard music (harpsichord and pipe organ). Classical, about 1750 – 1820, an important era which established many of the norms of composition, presentation and style. Also, the classical era is marked by the disappearance of the harpsichord and the clavichord in favor of the piano, which from then on would become the predominant instrument for keyboard performance and composition. Romantic, 1820 – 1910, a period which codified practice, expanded the role of music in cultural life and created institutions for the teaching, performance and preservation of works of music. Characterized by increased attention to melody and rhythm, as well as expressive and emotional elements, paralleling romanticism in other art forms. Impressionist music, 1910-1920, a period in which French composers as well as artists produced art that went against the traditional German ways of art and music. Characterized by arrhythmia, the pentatonic scale, long, flowing phrases and a use of brass instruments as the main parts in creating the texture, rather than stringed instruments. Modern, 1905-1985, a period which represented a crisis in the values of classical music and its role within intellectual life, and the extension of theory and technique. Some theorists, such as Arnold Schoenberg in his essay "Brahms the Progressive," insist that Modernism represents a logical progression from nineteenth century trends in composition; others hold the opposing point of view, that Modernism represents the rejection or negation of the method of Classical composition. twentieth century, usually used to describe the wide variety of post-Romantic styles composed through the year 1999, which includes late Romantic, Modern and Postmodern styles of composition. The term contemporary music is sometimes used to describe music composed in the late twentieth century through present day. The prefix neo is usually used to describe a twentieth century or contemporary composition written in the style of an earlier period, such as classical, romantic, or modern. Stravinsky's Pulcinella, for example, is a neoclassical composition. The dates are generalizations, since the periods overlapped. Some authorities subdivide the periods further by date or style. 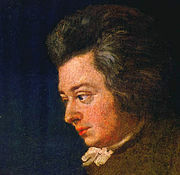 However, it should be noted that these categories are somewhat arbitrary; the use of counterpoint and fugue, which is considered characteristic of the baroque era, was continued by Mozart, who is generally classified as typical of the classical period, by Beethoven who is often described as straddling the classical and romantic periods, and Brahms, who is classified as romantic. Classical music as "music of the classical era"
In music history, a different meaning of the term classical music is often used: it designates music from a period in musical history covering approximately Carl Philipp Emanuel Bach to Beethoven — roughly, 1730 – 1820. When used in this sense, the term is usually capitalized to avoid confusion. Classical music is considered primarily a written musical tradition, preserved in music notation, as opposed to being transmitted orally, by rote, or in recordings of particular performances. While there are differences between particular performances of a classical work, a piece of classical music is generally held to transcend any interpretation of it. The use of musical notation is an effective method for transmitting classical music, since the written music contains the technical instructions for performing the work. The written score, however, does not usually contain explicit instructions as to how to interpret the piece in terms of production or performance, apart from directions for dynamics, tempo and expression (to a certain extent); this is left to the discretion of the performers, who are guided by their personal experience and musical education, their knowledge of the work's idiom, and the accumulated body of historic performance practices. However, improvisation once played an important role in classical music. A remnant of this improvisatory tradition in classical music can be heard in the cadenza, a passage found mostly in concertos and solo works, designed to allow skilled performers to exhibit some of their skill. Traditionally this was improvised by the performer; however more often than not, it is written for (or occasionally by) the performer beforehand. Classical music concerts often take place in a relatively solemn atmosphere, and the audience is usually expected to stay quiet and still to avoid distracting the concentration of other audience members. The performers often dress formally, a practice which is taken as a gesture of respect for the music and the audience, and performers do not normally engage in direct involvement or casual banter with the audience. Private readings of chamber music may take place at more informal domestic occasions. Its written transmission, along with the veneration bestowed on certain classical works, has led to the expectation that performers will play a work in a way that realizes in detail the original intentions of the composer. Indeed, deviations from the composer's instructions are sometimes condemned as outright ethical lapses. During the nineteenth century the details that composers put in their scores generally increased. Yet the opposite trend — admiration of performers for new "interpretations" of the composer's work — can be seen, and it is not unknown for a composer to praise a performer for achieving a better realization of the composer's original intent than the composer was able to imagine. Thus, classical music performers often achieve very high reputations for their musicianship, even if they do not compose themselves. Classical composers often aspire to imbue their music with a very complex relationship between its affective (emotional) content, and the intellectual means by which it is achieved. Many of the most esteemed works of classical music make use of musical development, the process by which a musical germ, idea or motif is repeated in different contexts, or in altered form, so that the mind of the listener consciously or unconsciously compares the different versions. The classical genres of sonata form and fugue employ rigorous forms of musical development. Another consequence of the primacy of the composer's written score is that improvisation plays a relatively minor role in classical music, in sharp contrast to traditions like jazz, where improvisation is central. Improvisation in classical music performance was far more common during the Baroque era than in the nineteenth and twentieth centuries, and recently the performance of such music by modern classical musicians has been enriched by a revival of the old improvisational practices. During the Classical period, Mozart and Beethoven sometimes improvised the cadenzas to their piano concertos (and thereby encouraged others to do so), but they also provided written cadenzas for use by other soloists. Western Art Music is a term used synonymously with classical music. Classical works often display great musical complexity through the composer's use of development, modulation (changing of keys), variation rather than exact repetition, musical phrases that are not of even length, counterpoint, polyphony and sophisticated harmony. Also, many long classical works (from 30 minutes to three hours) are built up from a hierarchy of smaller units: namely phrases, periods, sections, and movements. Musical analysis often seeks to distinguish and explain these structural levels. Detail of a portrait of Ludwig van Beethoven in 1815 by Willibrord Joseph Mähler. As with many forms of fine art, classical music often aspires to communicate a transcendent quality of emotion, which expresses something universal about the human condition. While emotional expression is not a property exclusive to classical music, this deeper exploration of emotion arguably allows the best classical music to reach what has been called the "sublime" in art. Many examples often cited in support of this, for instance Beethoven's setting of Friedrich Schiller's poem, Ode to Joy in his 9th symphony, which is often performed at occasions of national liberation or celebration, as in Leonard Bernstein's famously performing the work to mark the tearing down of the Berlin Wall, and the Japanese practice of performing it to observe the New Year. However, some composers, such as Iannis Xenakis, argue that the emotional effect of music on the listeners is arbitrary and therefore the objective complexity or informational content of the piece is paramount. Classical and popular music are often distinguished by their choice of instruments. The instruments used in common practice classical music were mostly invented before the mid-nineteenth century (often, much earlier), and codified in the eighteenth and nineteenth centuries. They consist of the instruments found in an orchestra, together with a few other solo instruments (such as the piano, harpsichord, and organ). Electric instruments such as the electric guitar and electric violin play a prominent role in popular music, but of course play no role in classical music before the twentieth century, and only appear occasionally in the classical music of the twentieth and twenty-first centuries. Both classical and popular musicians have experimented in recent decades with electronic instruments such as the synthesizer, electric and digital techniques such as the use of sampled or computer-generated sounds, and the sounds of instruments from other cultures such as the gamelan. None of the bass instruments existed until the Renaissance. In Medieval Music, instruments are divided in two categories: loud instruments for use outdoors or in church, and quieter instruments for indoor use. Many instruments which are associated today with popular music used to have important roles in early classical music, such as bagpipes, vihuelas, hurdy-gurdies and some woodwind instruments. On the other hand, the acoustic guitar, for example, which used to be associated mainly with popular music, has gained prominence in classical music through the nineteenth and twentieth centuries. Finally, while equal temperament became gradually accepted as the dominant musical temperament during the 19th century, different historical temperaments are often used for music from earlier periods. For instance, music of the English Renaissance is often performed in mean tone temperament. One criterion used to distinguish works of the classical musical canon is that of cultural durability. However, this is not a distinguishing mark of all classical music: while works by J. S. Bach (1685 – 1750) continue to be widely performed and highly regarded, music by many of Bach's contemporaries is deemed mediocre, and is rarely performed, even though it is squarely in the "classical" realm. To some extent, the notion of such durability is a self-fulfilling prophecy (and therefore a fallacy), simply by virtue of the fact that classical music is studied and preserved at much higher levels than other music. Classical music has often incorporated elements or even taken material from popular music. Examples include occasional music such as Brahms' use of student drinking songs in his Academic Festival Overture, genres exemplified by Kurt Weill's The Threepenny Opera, and the influence of jazz on early- and mid-twentieth century composers including Maurice Ravel, as exemplified by the movement entitled "Blues" in his sonata for violin and piano. Certain postmodern and postminimalist classical composers acknowledge a debt to popular music. There are also many examples of influence flowing the other way, including popular songs based on classical music, the use to which Pachelbel's Canon in popular culture has been put since the 1970s, and the musical crossover phenomenon, where classical musicians have achieved success in the popular music arena (one notable example is the "Hooked on Classics" series of recordings made by the Royal Philharmonic Orchestra in the early 1980s). In fact, it could be argued that the entire genre of film music could be considered part of this influence as well, since it brings orchestral music to vast audiences of movie-goers who might otherwise never choose to listen to such music (albeit for the most part unconsciously). Composers of classical music have often made use of folk music (music created by untutored musicians, often from a purely oral tradition). Some have done so with an explicit nationalist ideology, others have simply mined folk music for thematic material. Certain staples of classical music are often used commercially (that is, either in advertising or in the soundtracks of movies made for entertainment). In television commercials, several loud, bombastically rhythmic orchestral passages have become clichés, particularly the opening O Fortuna of Carl Orff's Carmina Burana; other examples in the same vein are the Dies Irae from the Verdi Requiem, and excerpts of Aaron Copland's Rodeo. Similarly, movies often revert to standard, clichéd snatches of classical music to represent refinement or opulence: some of the most-often heard pieces in this category include Mozart's Eine kleine Nachtmusik and Vivaldi's The Four Seasons. Throughout history, parents have often made sure that their children receive classical music training from a young age. Early experience with music provides the basis for more serious study later. It is extremely rare for performers to reach a professional standard on a classical instrument if they did not begin to study it, or at least a similar instrument, from childhood. Some parents pursue music lessons for their children for social reasons or in an effort to instill a useful sense of self-discipline. Some consider that a degree of knowledge of important works of classical music is part of a good general education. The 1990s marked the emergence in the United States of research papers and popular books on the so-called 'Mozart effect': a temporary, small elevation of scores on certain tests as a result of listening to Mozart. The popularized version of the controversial theory was expressed succinctly by a New York Times music columnist: "researchers have determined that listening to Mozart actually makes you smarter." Promoters marketed CDs claimed to induce the effect. Florida passed a law requiring toddlers in state-run schools to listen to classical music every day, and in 1998 the governor of Georgia budgeted $105,000 a year to provide every child born in Georgia with a tape or CD of classical music. One of the original researchers commented "I don't think it can hurt. I'm all for exposing children to wonderful cultural experiences. But I do think the money could be better spent on music education programs." ↑ Julian Lloyd Webber's speech to the World Economic Forum in Davos, Switzerland stated that "Declining audiences, government cuts, disastrous CD sales, sponsors pulling out of the arts, fewer children learning musical instruments, and a total lack of interest from the general media, unless semi-naked bimbo violinists… are involved…. It is in stark contrast to music-making in the Far East, where there are still huge numbers of children learning instruments, healthy classical CD sales, media that take a real interest in classical music and, above all, concert halls that are packed with young people as a direct result of that media interest." ↑ David Laing, Soundscapes.info volume 2 (July 1999) The economic importance of music in the European Union includes comparison of the number of concerts, venues and musicians employed in classical and popular music. Retrieved May 26, 2008. Boulez, Pierre. IRCAM United States Tour Program, 1986. Nietzsche, Freidrich. Werke in Drei Banden. Munich: Carl Hasner Verlag, 1954. Taruskin, Richard. "Does Nature Call The Tune?" New York Times, September 18, 1994. ArkivMusic.com – find every classical CD and DVD in print. All Classical Online Radio - Listen to classical music online. This page was last modified on 24 February 2017, at 22:06.